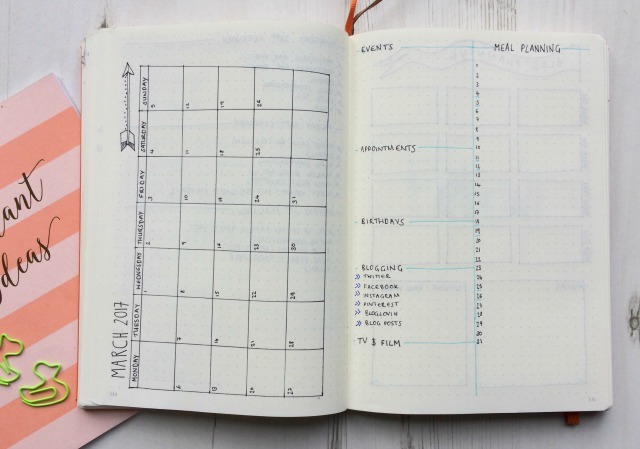 At the start of this year I shared my bullet journal set up for the new year and I’d stripped back a lot of what I wasn’t using from the previous year. I find the less I put in it the more productive I am with it. A lot of people have said to me that they’d like to start one but they don’t have the time, or they are put off if they don’t feel very creative. I do have some other pages in mine, books lists and several more dedicated to blogging that I’ll share another time but this is all I’m using each month now. 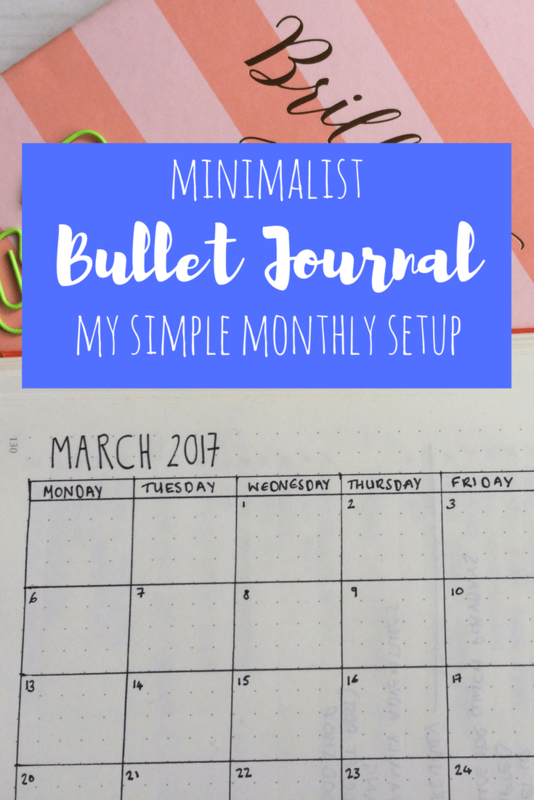 It is super simple and easy to follow so if you’re looking for a more minimalist style of bullet journal this might be for you. It takes me maybe 20 minutes to set up, usually sat in front of one of my favourite TV shows, and then it’s ready to fill in during the month. This is my latest monthly spread – I NEED to have a grid calendar, my brain just won’t work without it. Drawing this out is the most time consuming bit as it’s one of the few things I don’t do freehand. I fill this in from our main family calendar in our kitchen and last month I added in the page at the side. It’s all pretty self explanatory, any events/appointments/birthdays are listed so I can see them quickly. My blogging stats have moved into here so I can track them month on month and they are to hand if anyone asks. I can’t remember where I saw the TV & Film list now, I think I spotted it on Pinterest and loved the idea of it. I just jot down what we have on the go or what is coming up so I remember what we have to watch when I sit down of an evening. I am so pleased with the new meal planning section – it’s something that I’ve struggled to get right ever since I started. It is one of the most useful things in my bullet journal and I think this is finally the one. It’s so simple and I prefer to see it over the month than weekly. I still fill it in a week at a time but as my shopping day is different each week it’s a little more flexible. 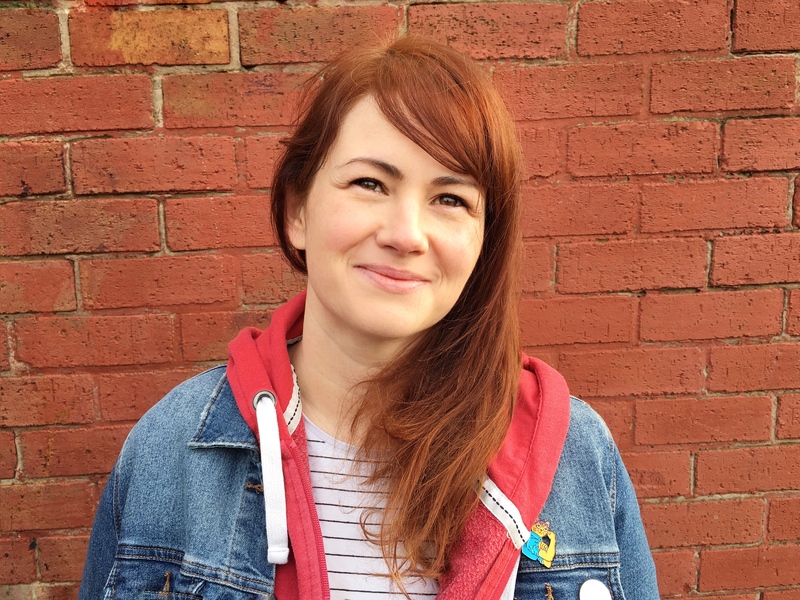 My blog editorial is an absolute essential for me – I started it months ago now and it really helps me to stay on track. I jot down anything I definitely want to do over the month and everything else goes into ideas. I also have a section for any reviews or paid work I’ve taken on so I don’t do too much. As much as I try to get three blog posts out a week I don’t often manage it but at least this gives me something to aim for. I messed up on the page opposite hence the big yellow postcard, I was distracted watching Vikings! I was about to do my memories page and wrote the wrong month. This is the final page – my memories page. I must admit I have been a little lax in filling these in the last couple of months but the weather has been awful and we haven’t been doing as much. I still really want to keep it in, I just fill the page up with writing or doodles of my favourites memories over the month. I’ll try and remember to come back and pop an updated page here at the end of the month. After than I just set up for my dailies – this last month I have been doing one most weekdays, I never do any for the weekend. I try not to go over six things to do, then it doesn’t get too overwhelming and I can get the sections ready in advance. I think this has really helped keep me on track and last month was my most productive month in my bullet journal for a while. So that’s it, a super easy and simple setup for the month. 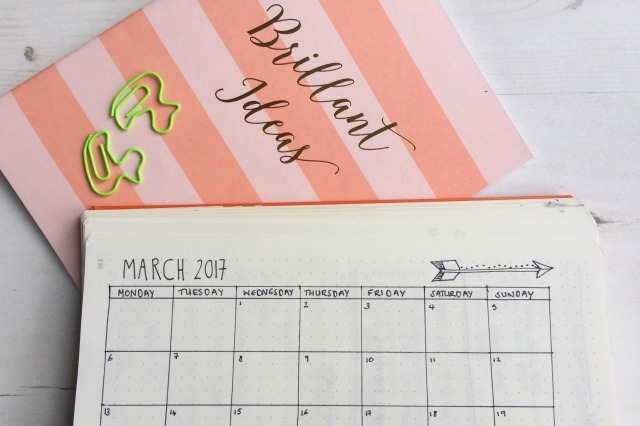 I think I’ve found something that will work for me for a long time now – I love how quick this is and so easy to use over the month. 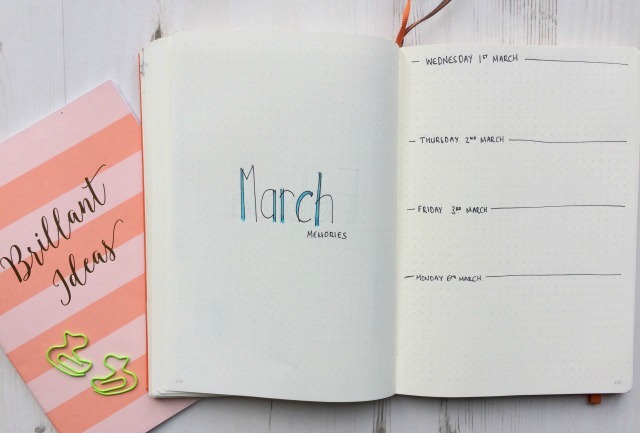 What do you do each month in your Bullet Journal? Do you like to keep it simple? 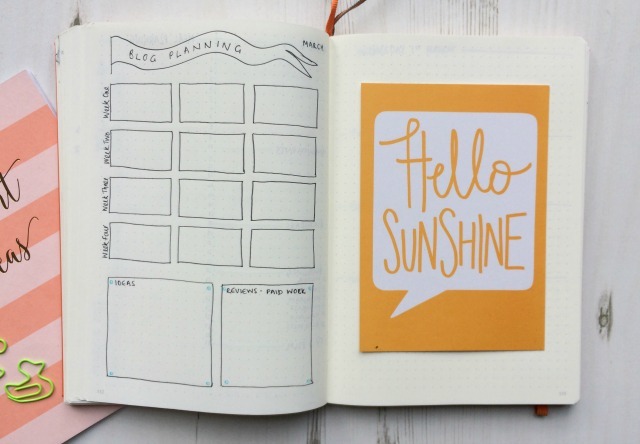 My Bullet Journal is a Leuchtturm 1917 with dotted paper in Orange, I use a Fabel Castell Pen (size small) for pretty much all the writing and grids, I’ve been using it for months and it hasn’t run out yet. I also have these Staedtler Triplus Fineliners for colour, and I just use normal felt tips and pencils for other bits and bobs.